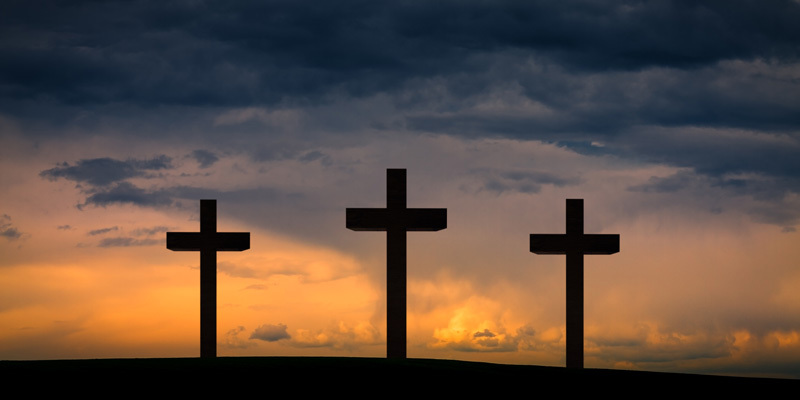 Three men were crucified together on Calvary, but the day ended with three very different outcomes. Who is your example? “And when they had come to the place called Calvary, there they crucified Him, and the criminals, one on the right hand and the other on the left … Then one of the criminals who were hanged blasphemed Him, saying, ‘If You are the Christ, save Yourself and us.’ But the other answering, rebuked him, saying, ‘Do you not fear God, seeing you are under the same condemnation? And we indeed justly, for we receive the due reward of our deeds; but this Man has done nothing wrong.’ Then he said to Jesus, ‘Lord, remember me when You come into Your kingdom.’ And Jesus said to him, ‘Assuredly; I say to you, today you will be with Me in Paradise.’” Luke 23:33,39-43. On the middle cross hung the Son of God. He hung there because He voluntarily became the Son of Man, because He partook of fleshSin is anything that goes against God’s will and His laws. To commit sin is to transgress or disobey these laws. The lust to sin dwells in human nature. In other words, it is contaminated and motivated by the sinful tendencies that dwell in all people as a result of the fall into sin and disobedience in the garden of Eden. This... More and blood like we, because He took upon Himself a human will, because He never did His own will but always denied it and did the Father’s will, because He never sinned, because He loved all mankind and sought to save them, and because He told them the truth. There He hung, He who in this world had always borne His cross and denied His own will, who, spiritually speaking, had always lived a crucified lifeJesus was physically crucified on the cross at Calvary. Though blameless, He took upon Himself the punishment for sin, which was death, so He could pay our debts and forgive us our sin if we are willing to believe in Him and follow Him the Apostle Paul wrote: “I have been crucified with Christ…” (Galatians 2:20) This is a metaphorical... More from the day He was old enough to understand it. On the other two crosses hung criminals, men who had always done their own will and had never done the will of God. Both had always lived in sinSin is anything that goes against God’s will and His laws. To commit sin is to transgress or disobey these laws. The lust to sin dwells in human nature. In other words, it is contaminated and motivated by the sinful tendencies that dwell in all people as a result of the fall into sin and disobedience in the garden of Eden. This... More. Nevertheless, there was a great and very essential difference between these two criminals. One was hard and unbelieving, while the other was tender, acknowledging, and believing. One was impenitent, and therefore remained outside, while the other entered into Paradise with Jesus. Neither of these men had walked in Jesus’ steps, and now they had no more opportunity to do so. That is how it is with every sinner who is convertedTo make a decision to turn away from sin and darkness, from the power of the devil to the living God. We repent from our former sins, cast off our old life – a life which enjoyed living in the passing pleasures of sin – and lay hold of a new mind – a mindset that is determined to resist... More only at the very end of his life. We must all begin like the one thief, with a plea for mercy and forgiveness for our sins. We all start as “thieves.” But just because this thief is an example of how to begin on the way of salvation, that does not mean that he is to be our example as we continue. Many are called and given the opportunity to follow the One crucified on the middle cross and to walk in the steps which He left behind—He who never did His own will but always lived a crucified life. The fact of the matter is that all people, whether they know it or not, fit into one of these three groups and follow one of these three crucified ones. Those who, by the grace of God, overcome sin belong to the middle group. Those who do not overcome but confess their sins and ask for forgiveness belong to the second group; those who are impenitent and do not ask for forgiveness belong to the third group. It is significant that so many believers look to the penitent thief as their example and find comfort in him; they console themselves with the prayer of the publican for the same reason. It is very true that we must begin like this. But it is not true, as so many think, that we have to continue like this until the end. Read more about living a crucified life with Christ in the e-book “I Am Crucified with Christ,” which you can download for free here. You can also read more in our “Key teaching” page about the message of the cross or by clicking on the article links below. Grace means that all our sinSin is anything that goes against God’s will and His laws. To commit sin is to transgress or disobey these laws. The lust to sin dwells in human nature. In other words, it is contaminated and motivated by the sinful tendencies that dwell in all people as a result of the fall into sin and disobedience in the garden of Eden. This... More is forgiven when we confess it. But it also means that we receive power to obey the truth that Jesus came with. 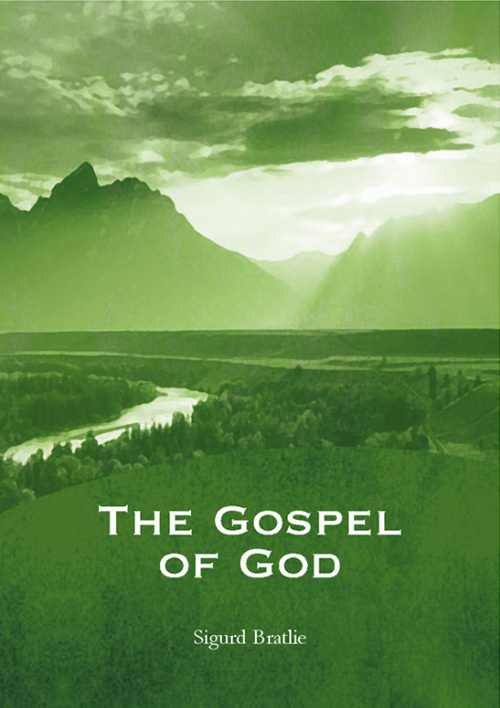 In this book, Sigurd Bratlie expands upon this, showing the true gospel of God which is obedience to the faith.